Many people believe that shrimp paste, a typical dipping sauce of� Northern Vietnamese villages, is the best sauce to pair with tofu. But since I was a child, I have always preferred my tofu to be dipped in fermented soybean paste, or� tương, because its sweeter, lighter smell and taste reminds me of my grandmother, who used to make it at home. This traditional dipping sauce enjoyed by vegetarian Buddhists is now less popular in the cities, and the recipes and techniques to make good� tương are only handed down within individual families. But if you get a chance to try it and compare its taste to other fermented soybean pastes, like� miso in Japan and� doenjang in Korea, you will find a common, treasured food tradition. The sauce has a high nutritional value because it is made from soybeans fermented with a type of mold or fungi. To make this mold, sticky rice is steamed, or alternatively, ordinary rice is cooked with less water than usual, and then scattered on a woven tray and covered with leaves to keep the heat. The rice is left to ferment for approximately 7-10 days. Each family and each region has its own method to make the mold, but the basic principle is the same: fermented rice will generate heat and create an ideal condition for the fungi to grow. Scientists call this type of fungus� A. oryzae. It’s also known as� koji. This fungi helps to transform rice starch into glucose, resulting in a powdery mixture with a nice golden color and a sweet taste. It is important to keep track of the mold as it develops on the rice, as sometimes other, possibly toxic, types of fungi might develop as well, which will need to be removed. At the same time, soybeans are roasted and pounded or ground into pieces, and then boiled with water and poured into clay jars. The jars are then covered and put in a sunny ventilated place to ferment. When the rice mold is fully developed, it is mixed into the jars, and the fermentation process will continue for at least 15 to 20 days to create the final product, fermented soybean paste. Salt is an indispensable ingredient. Adding the proper amount of salt is important to ensure good taste and long storage time. Salt can be mixed with the mold after it is ready, or added directly into the jar. Either way, the end result is a perfect combination of salty, sweet, and the� umami flavour of fermented soybeans. 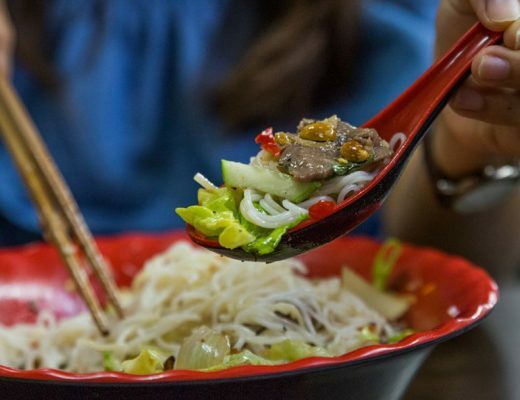 In Vietnam, fermented soybean paste is mainly used as dipping sauce for dishes served with rice, such as tofu and boiled vegetables. It can also be used as a seasoning when cooking braised fish or braised vegetables. Especially in the North,� bánh đúc lạc is a popular snack in rural markets. 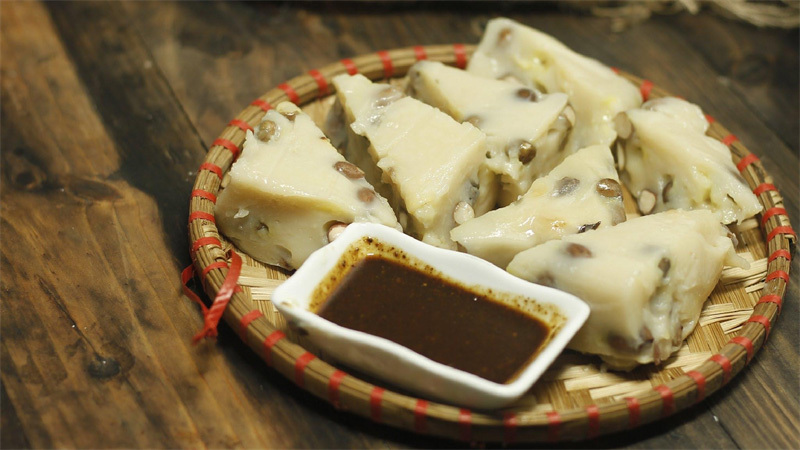 It is a savoury cake made of rice flour and peanuts, which is then dipped in fermented soybean paste. 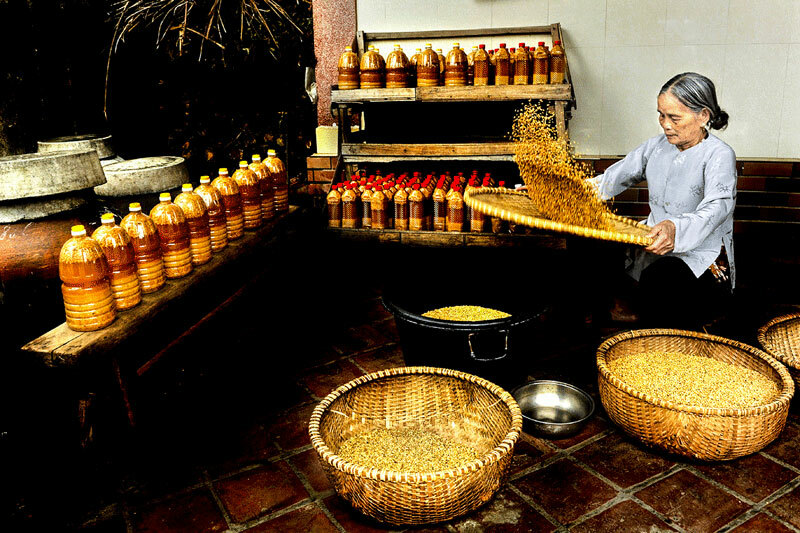 The regions in Vietnam famous for their tradition of making fermented soybean paste include: Bần village in the Hưng Yên province near Hanoi, Cự Đà village in� Hanoi, and the Nam Đàn district of Nghệ An province. Many people use� tương and� tương bầninterchangeably to refer to fermented soybean paste. The Bần village has been famous for this product since the late nineteenth century. 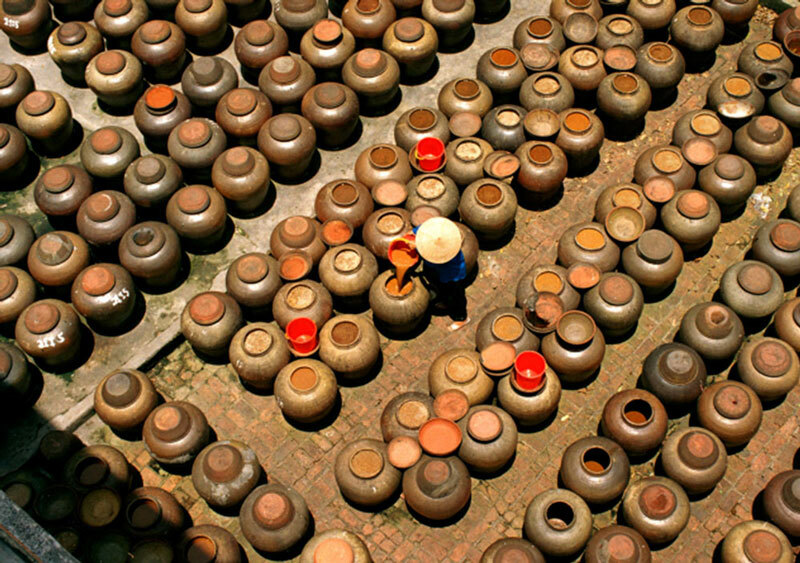 In Southern Vietnam there is a type of fermented soybean paste called� tương hột. It is made from whole-grain boiled soybeans mixed with ground roasted soybeans, fermented by rice or corn mold, or using ready-made soy sauce to speed up the fermentation process.� Tương hột is also used as a condiment for braised fish, tofu or vegetables. 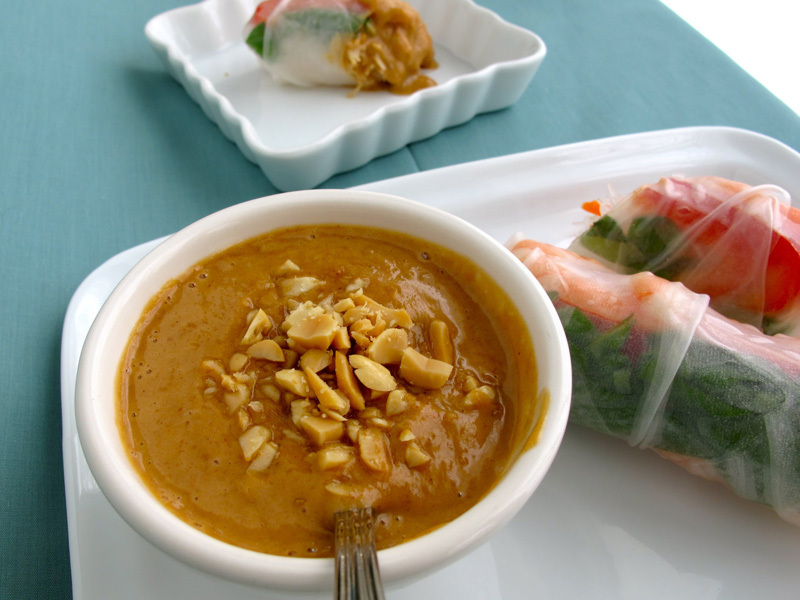 When blended it can be used as a component in the dipping sauce for fresh spring rolls. If you love Japanese cuisine, you have probably tried� miso soup, the Japanese comfort food made with miso paste, seaweed, tofu and green onions. However, not many people know that� miso is actually the Japanese version of fermented soybean paste.� Miso� is similar to Vietnamese� tương� in components and production methods but with some differences. First, in Japan soybeans are not roasted before boiling. They are soaked overnight instead, so the boiled beans are much softer and can be pounded into a thick, fine paste. Second, steamed rice is mixed with industrially produced� koji� starter, and fermented for a few days, to become� kome koji (rice mold). Finally, soybean paste and� kome koji are mixed together with salt and put into a jar. The ingredients need to be weighted to pressurize the mixture. This is done with a heavy bag as in� this video. The jar is then covered for a month-long fermentation process. Vietnamese fermented soybean paste is just as nutritious as its Japanese cousin, and even more versatile. 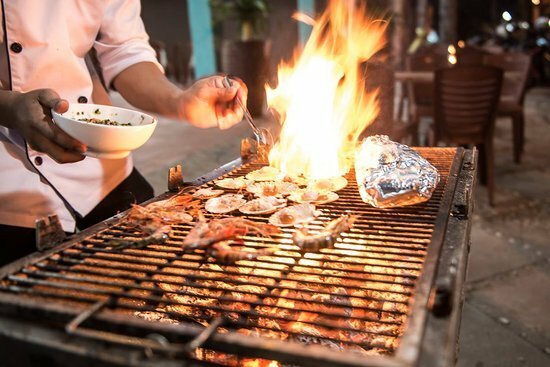 It can be added to variations on the country’s much-loved braised fish (cá kho), used as a dipping sauce for the famed� gỏi cuốn, or used as a condiment in many vegetarian dishes. The options are endless.